[Blind Gossip] This incredibly famous actress mentioned that she recently bought a house… but didn’t realize that she would have to furnish it. My jaw dropped when she said that she had to have someone run out and buy a couple of couches for her because she doesn’t own any furniture. That’s a lie! She has owned a bunch of houses, and furnished all of them! Whenever she moves out, she puts the stuff in storage. The woman has AT LEAST four big storage units in [location] and [location], filled the top with her kid’s stuff and her stuff and tons of furniture, including multiple couches!!! What do people think she did in her old houses? 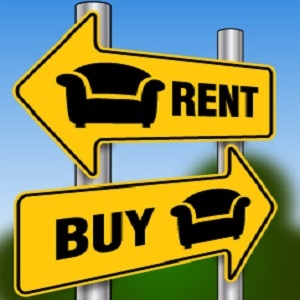 Rent furniture on a weekly basis from Rent a Center? Somehow we just can’t see her filling out an application at one of those rent-to-own places so she can get a sofa for $10 a week and a TV for $15 a week! [Optional] Why do you think she made up this story? This is for sure Angelina Jolie. I don’t think she “made up” the story. I have a friend who is wealthy and I have seen him do this. I asked him once about it and he merely shrugged. I am not sure it occurs to him that he could go through and sort the old stuff – see what fits into his new house – before going out to buy new stuff for the new house. Just easier to buy new stuff. Rich folks…..
Angelina interview in Vanity Fair. Why would she not just use what she already has? Geez talk about too much money. Or DONATE what she already has? She is so conscientious about so many things but apparently not her carbon footprint if she just keeps acquiring stuff. Angelina Jolie .because She doesn’t want to look materialist ? Because she won’t stay long time in this new house ? Angelina. The story is probably true. She might not have been able to get to the storage facilities and needed furniture ASAP. Natalie Portman recently bought a house. Maybe she wanted someone to buy the couches for her! I think she made up this story as an olive branch to Brad and to help prop up his reputation. His reputation looks to have taken a beating after his alcoholic meltdowns and manhandling Maddox (allegedly). He probably just needs to be single a while and find himself. It seems that he mimics everyone he dates in both looks and personality and he should just concentrate on being himself. I’m not sure which publications you’re reading, but everything I’ve read shows Brad to have come out the winner in their public fighting last year. They think he stayed above the fray and never cut her down publicly, unlike what she did to him. I just read an article this week talking about how “cool” Brad is now and how much more “likeable” (their words, not mine) he is than Angelina. Totally agree Angie has looked worse than Brad in this and how would the furniture story be an olive branch to him exactly? Brad does mimic all of his partners. People usually mirror the person of higher status & power to gain favor and influence over them. [Optional] Why do you think she made up this story? Same as most of the other BS she’s spouted since splitting from Brad Pitt – to get sympathy and to get the upper hand in any divorce proceedings. Angie. No man in her life to do the heavy lifting. We do have our uses, you know. Because she’s an entitled brat. The New York Post article yesterday just skewered her! Angelina, of course. She is trying to look like the victim. It seemed like she was making Brad out to be controlling. It’s not working… I don’t buy it. Brad ‘morphs’ into whomever he is with. Just look at how he looked with each gf or wife. He looked EXACTLY like Paltrow when they were together. If anything, I imagine him utterly immersing himself in what a woman expects, wants, cares about. Angelina Jolie. She lies about all kinds of things. She’s also been photographed drinking wine, so maybe she drinks so much she forgets where she puts her stuff. Angelina Jolie. She made the comments in a Vanity Fair interview I believe. It hasn’t been published yet. Optional: She’s trying to reinvent herself as the harried single mother that’s trying to figure everything out on her own. Like taking cooking classes so that the kids can have a proper meal. Furniture shopping? That was all Brad before, she was too busy saving poor refugee children to worry about something so mundane. It’s a way to gain favor and rehab her image. Excuse me now, while I try to pry my eyes from the back of my head. Taking cooking classes. She’d just hire a chef! Optional: Builds the narrative she’s been crafting: single mother, soooo distracted she “forgot” about furniture, side swipe at Brad. Angelina. I read the article earlier where she was saying she bought DeMille’s old house and had to have a friend who is a set designer furnish and decorate it because she didn’t know she needed things like throw pillows. Why? Because she’s a headcase, and is now trying to get sympathy from the public since pretty much everyone despises her for what she did to Brad Pitt. Good luck with that, Angeloonie. Maybe it isn’t made up. If you “forget” to pay the rent on storage units, you lose your stuff. I’ll be watching Storage Wars to figure out the answer to this blind! This is Angelina Jolie, the interview being in Vanity Fair. I actually thought she was an interesting and good person after reading the interview. She may just not want to deal with storage units and memories of her time as a family with Brad. I think maybe it was just kind of an offhand comment; yes, maybe to paint herself as more of a free spirit and less of a housewife, but it was pretty benign. And you thought nothing of her torturing poor children for her movie? Angelina Jolie – trying to be sympathetic? I think this is Angelina Jolie. I just read a Vanity Fair piece that said she’d just moved into a house here in L.A., and said a ‘set decorator friend’ furnished the house on the fly. She and her kids, she said, had been living out of suitcases in a rental. Have no idea why she’d make this up. I know she does some good things, but I get the distinct impression that she is…disturbed. It’s something she said in a vanity fair interview she just gave. Personally, I think she’s still trying to make it look like Brad Pitt is some sort of abusive husband – “He did the decorating” – who kept all the furniture etc. and left her and the kids with nothing. All she’s focusing on now is “keeping house” and worrying if she was a good mom that day? She really expects people to believe that? Made up this story because she wants to seem more down-to-earth, relatable and “real”. Ol’ girl needs to stop. ? Page Six of the NYP just touched upon this. Btw am I the only one who never really bought into that whole thing about her having her breasts and reproductive organs removed? I don’t know why but that always smacked of fakery to me. St. Angelina–look at what a self sacrificing “hero” she is! Yeah no…. Because she is a chronic liar and always tries to come out on top in every story she spins. No doubt in this case she didn’t want a single reminder of Brad around the house. Those poor kids! Angelina Jolie. Who knows ? To seem relatable ? *eye roll* to make herself sound more ‘real’. Piss off. Vanity Fair interview was odd, lots of saying the right things about the kids. I just hope she will allow the kids access to their dad. Parents who poison the kids against the other really bother me. I hope the Family Court is paying attention and puts an end to it. It’s abuse, plain and simple. Her mom did the same thing to her and she seems screwed up because of it. [opt] Because she’s crazy and has lost all touch with reality? Angelina… Her VF article made me heave, obvs in response to Brad’s GQ piece. She is so pretentious – trying to come off as the victim after attempting to destroy Pitt. She said a designer loaned her a few sofas and one of the dogs messed on it – does anyone really believe AJ picks up dog poop around her home?